Stacked pavlova cake with a raspberry, coconut and whipped cream filling. I do have a soft spot for anything meringue and quite a few recipes on Where Is My Spoon to prove it! For instance this amazing Polish Bezowy Torte, these Meringue Brownies or this Meringue Apple Cake. All favorite cakes, I have been making repeatedly for years now. This stacked Pavlova recipe is a new discovery. I found the recipe in an old issue of the magazine Good Food, a magazine I have discovered while living in England and to which I have been having a subscription for years now. I have modified the recipe a little bit, but the main idea remains the same. And the result? 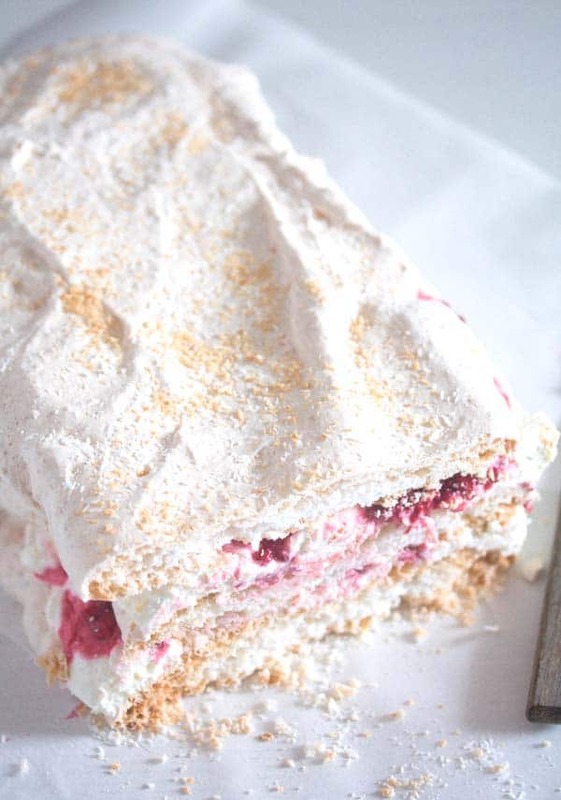 Three scrumptious coconut meringue layers stacked together with whipped cream and raspberries. A deluxe cake, I am telling you, you will love every bite of it! 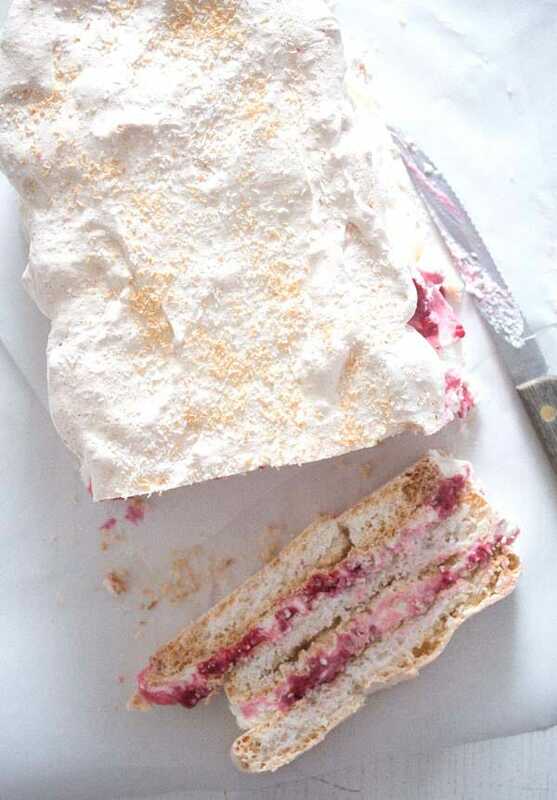 Despite the way it looks with the many layers and filling, this stacked raspberry meringue cake is not difficult to make. Meringue might sound and look impressive if you haven’t made before, but trust me, the reality is that meringue is beginner’s stuff, really easy to make. There are a few things you have to know when making the meringue for this stacked Pavlova recipe or any recipe using meringue. Your eggs don’t have to be fresh, actually using older eggs for making meringue is better, the meringue made with older eggs will be fluffier. Bring the eggs to room temperature before starting making the meringue. Take them out of the refrigerator at least 30 minutes before. If using leftover, frozen egg whites, defrost them in the refrigerator (preferably overnight as they will need several hours) and bring them to room temperature before using them. Make sure that the bowl and the mixing whiskers you are using are very clean. The egg whites must be totally free of egg yolk residues as well. If there is any trace of fat on the bowl or of egg yolk in the egg whites, you will not be able to beat the egg whites properly. 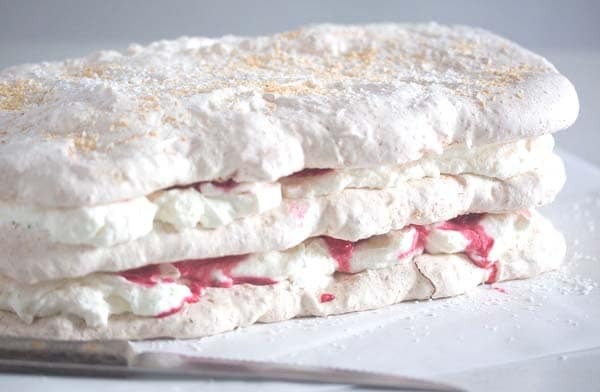 Making meringue takes a bit of time, so using a kitchen machine is good, if you happen to have one. However, a hand held mixer would do as well. 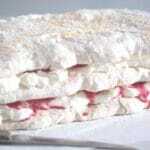 Use fine sugar to make meringue, it will dissolve faster and better, giving you a smoother, silkier meringue. Add the sugar very slowly to the egg whites while beating continuously. One tablespoon at a time would be ideal. Add some stabilizer to the egg white mixture. Some people use cream of tartar, but I have had very good results with cornstarch, so now I am using that all the time, instead of buying cream of tartar just for this purpose. Also, add a little apple or white wine vinegar to the meringue. It also helps stabilize it and used in such small quantities will not influence the taste. The stabilizers will help the meringue hold its shape better, so it will have nicer edges and peaks when baked. There are a few methods out there on making meringue, most differences regard the baking temperature and time. I have tried a few of these methods, some were complete failures, some were better. 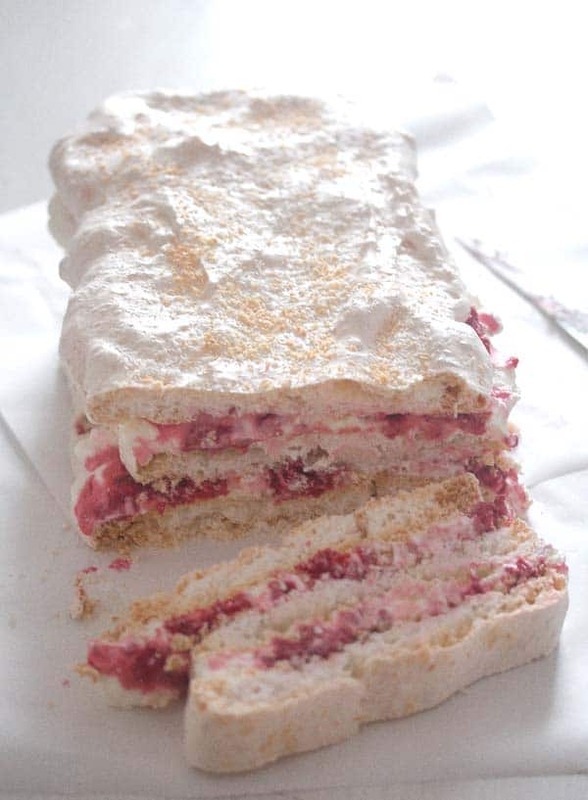 In the case of this raspberry meringue cake I used the method indicated by Good Food magazine and it worked perfectly. It is very similar to the way I would usually bake my meringue, which is to bake the meringue for roughly one hour at low temperature, turn off the oven and leave the meringue inside for a while. 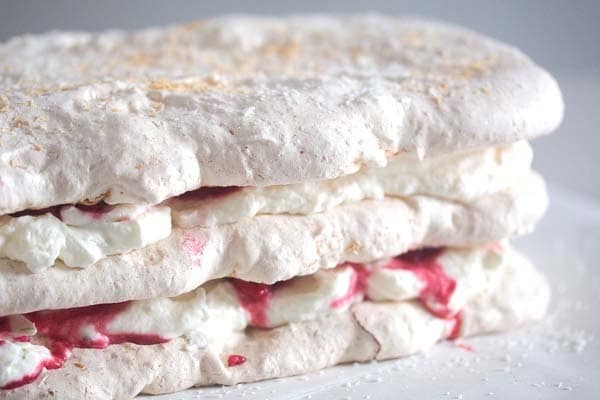 You can definitely bake the meringue needed for this raspberry pavlova one day in advance. 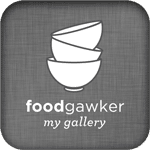 What to do with the leftover egg yolks? You can make the meringue needed for the stacked Pavlova recipe with fresh egg whites or leftover egg whites. If you use fresh egg whites, then you will be left with five egg yolks. How about trying this amazing Carbonara recipe? The recipe is meant to serve two people and uses three egg yolks. You could double the quantities and use all the five leftover egg yolks, it won’t matter if you have one less than the doubled recipe requires. You could also make lemon curd. Or this Greek lemon soup with chicken and orzo? The recipe also require six egg yolks, but you will be fine with using only five again. You could also use the five leftover egg yolks to make this luscious Mexican chocolate ice cream. Heat the fan oven to 120 degrees Celsius/ 250 degrees Fahrenheit. Line two baking trays with baking paper. Draw 2 rectangles of 25x12 cm/ 10x5 inches on one of the baking paper pieces and 1 rectangle on the other. Give the egg whites to a very clean bowl and whisk until stiff and glossy. Gradually whisk in the fine sugar. Continue whisking until the mixture is stiff and glossy again. Whisk in the cornstarch and the white wine vinegar, they will help the egg whites hold their shape. Spread the meringue into the rectangles you have drawn before. Sprinkle them with a little extra desiccated coconut. Bake the meringue for 1 hour. Turn off the oven, but leave the meringue inside for another hour. Remove from the oven and let cool completely. To make the filling, make sure that the raspberries are fully defrosted if frozen. Whisk the heavy cream shortly. Slowly start adding the icing sugar and the lime zest and juice and continue whisking until the heavy cream is fully whipped. Spread half of the whipping over one of the meringues. Top with half of the raspberries. Carefully place another meringue on top and press gently. Cover it with the remaining whipped cream and remaining raspberries. Place the last meringue on top and press it gently as well. What a lovely dessert! I love all the layers of meringue with all that fluffy whipped cream and raspberries. A light and beautiful treat! This is the kind of cake that I swear I can eat entirely at one sitting if no is there to shame me! 😆 I love pavlovas because they are light and delicate and not super sweet. I wish I had this in front of me right now! !